You could call this cake a cross over between to cultures. A classic American cake recipe and a West African staple. 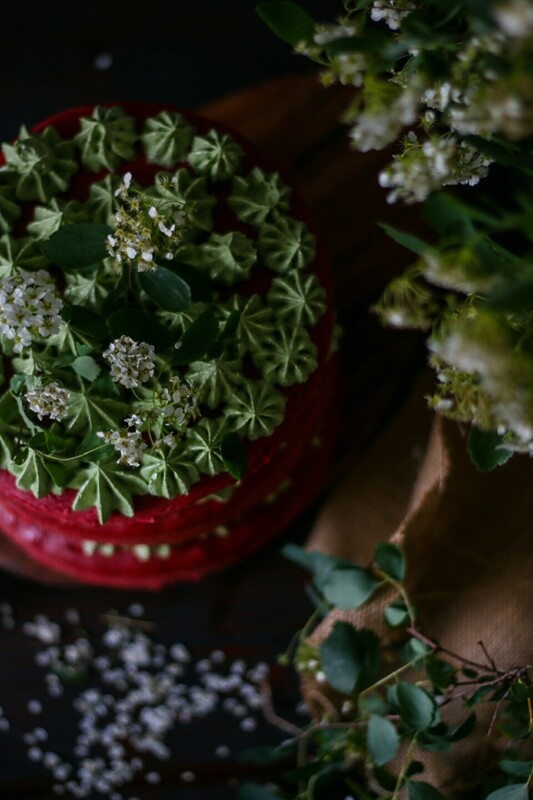 A classic red velvet cake enriched with a moringa - white chocolate buttercream. Moringa is similar to Matcha a powerfood powder that has remarkable health properties. From being good for your heart to powering your energy levels. This powder has lots of health benefits. I used it for this butter cream because I wanted a green lookinh cream complementing the read and I wanted to feel healthy eating a not so healthy cake ?. Well this cake is made super fast and can be a last minute Mothers day option that also looks impressive. For all my american foodies this puts a bit of a twist on a classic cake. A easy & fast last minute cake that will impress mommys around the world. Mix all the ingredients together and then fill into three backing pans and bake the cakes for 25 Minutes at 180 degrees. Melt the Chocolate and let it cool for some time. Then add the Butter, Moringa and Sugar and mix until well blended. Then layer the cake with a pipping tool.